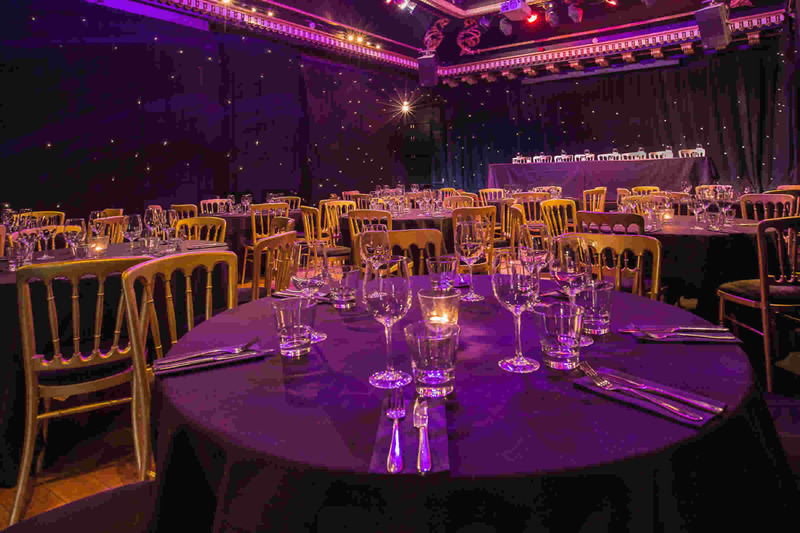 The Ballroom, set with tables for an awards ceremony and dinner. Our largest presentation facility can hold up to 200 attendees and features beautiful cornice work, a domed ceiling & twinkling starcloth-covered walls. There is a raised stage at one end with a retractable electric 3 metre screen and accompanying powerful powerpoint projector. An unobtrusive technical booth at the back on the hall houses our control equipment, for both sound and lighting. A high quality sound system is installed and microphones can be provided as required, either wired, radio or tables mics. For presentations and press launches we can provide onstage lecterns (branded if required), with microphones and projector control facilities. For more complicated presentations we can provide technical staff to help make your event run smoothly and hitch free. Refreshments, buffet, canapes or full sit down meals can be provided according to your requirements, along with tea, coffee & other refreshments. We are fully licenced and have a wide range of drinks and drinks packages available to suit all events. Alternatively, your guests can adjourn to the adjacent public bar & restaurant for refreshments. As well as hosting press launches (eg Edinburgh's Hogmanay 2007/08) we have held successful trade shows & recruitment days for companies such as major Audiovisual & technology distributor MIDWICH & NOKIA. 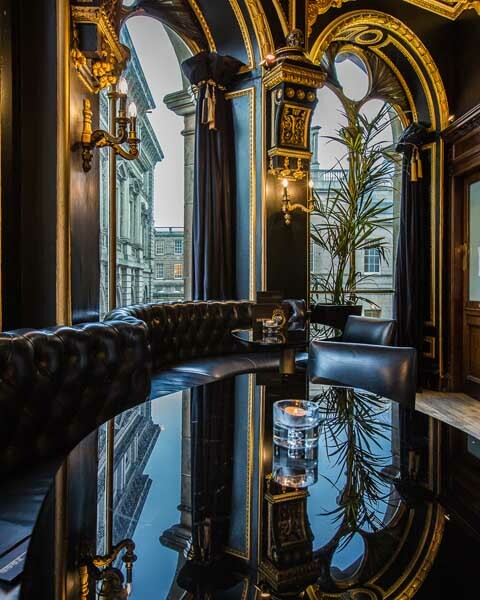 The Voodoo Rooms is in demand as a location for photo & video shoots - we'd invite you to take the virtual tour from the menu of the left to see why.